Thank you for fixing zerg buster model! Hit me with a message when you get around to fixing the Zerg Buster's cloak stuff :D thanks so much for your help! Your models are among the best for SC2! Thanks man! Yeah you can absolutely do that. Hey man, great work on the models! I really want to use some of them in my map- I'll be sure to give you prominent credit. Is that OK? Awesome!! Thanks a lot, don't worry about the decals, the cloak fix is the most important for me! Hi GhostNova91, sorry to bother but I'm having an issue with the umojan marine (haven't checked but probably with the shadowguard too) it doesn't seem to have any decals. I understand you're bussy with TRL and your own projects so i'm just wondering, is this an issue i could solve by editing the textures on photoshop? or is this something on the model? I would give you the textures and the credit, you publish them since it's your model, i just want the units with the decals. Edit: Also I downloaded your sc1 firebats and they have an error when cloaked, the helmet glows red, If you could tell me where to look to fix it in photoshop I'll do it and give you the textures. Thanks again. Hi I've downloaded some of your awesome models and I get them working except for Vindicator. I don't know where to put the textures to get them working. Now I have the textures in Assets\Textures\ but it doesn't work. Anyone knows? I know about buster model particle update. The Zerg Buster was updated with particles. I still haven't figured out why they go red when cloaking if that's what you are talking about. If you don't mind could you please at least update the zerg buster. Sorry I didn't get back to you but I'm glad you figured it out. Just drop by to see if there are any new models, or any re-release with particle FX. I'm not sure if those models have any particular setting you must do (haven't used those) but I believe GhostNova91 makes his models ready for import. Save, close and reopen map (or restart editor) and it should work fine. 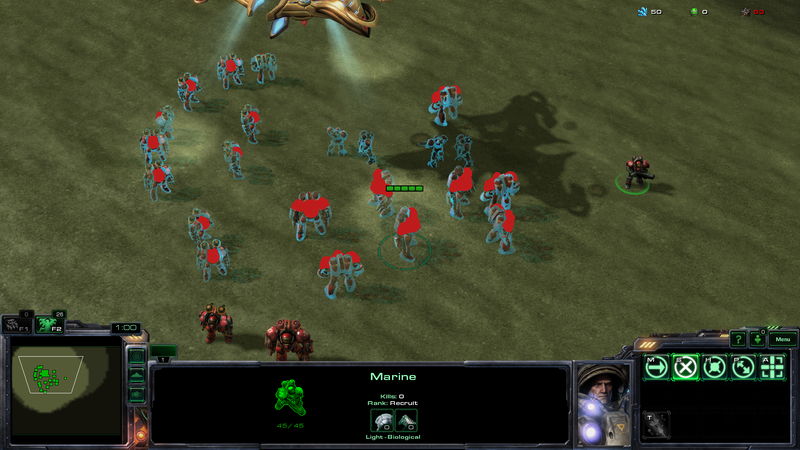 Hello Ghostnova, I am new to the map editing world and I was trying to add some of your custom units ( Bone Wasp, Scorpalisk, ad Scantalisk) onto my map but I seem to be having some difficulties with the textures. the map will show the model but I am unsure how to add the texture assets onto the model itself so it would be very helpful if you could give me some help on how to add those textures into the model, please respond.